As I drink my coffee from my mug here in Vancouver, I ponder the lessons I learned while exploring Orca’s Island a few years ago. It’s a relatively small island, so I had rented a little moped to explore the different places. I stopped at Olga Pottery a store owned by Jerry Weatherman. His work is not only beautiful but also unique and practical. I asked him, “Does your work bring you joy?”. Jerry paused at first and replied, “It gives me deep satisfaction. I am continually growing and discovering new things, even after 43 years, and I have a short walk to my office”. I look at relationships and think about the similarities to work. If you were in a relationship for 43 years and were able to answer in the way Gerry did, most people would say that you have chosen a great partner. His response was for me a textbook definition of joy. He has what most of us are looking to find in work and in our life. 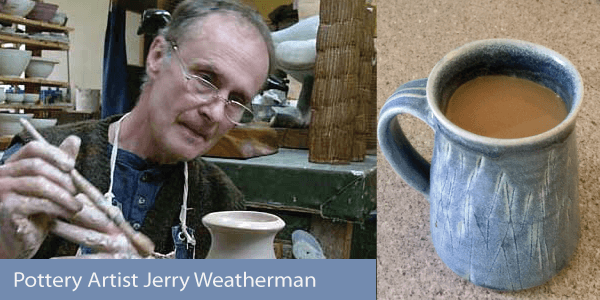 As a potter he starts with the raw material and sculpts with his hands something of beauty and value. To me, this is the opportunity we all have in life. Our raw materials our are talents, passions, intelligence, personality and values. Like the potter we can sit at the wheel of our life and work at producing something that we are proud of. That is both our opportunity and responsibility in this life. “Decide in your heart of hearts what really excites and challenges you, and start moving your life in that direction. Every decision you make, from what you eat to what you do with your time, turns you into who you are, and the day after that. Look at who you want to be, and start sculpting yourself into that person. You may not get exactly where you thought you’d be, but you will be doing things that suit you in a profession you believe in. Don’t let life randomly kick you into the adult you don’t want to become”. Jerry and Chris are two excellent examples of professionals sculpting their careers and lives intentionally. What are you doing with your raw materials? It’s never too late, nor too soon to start to put them back on the wheel. Sculpting, along the road with you! P.S. Looking to sculpt the right career for you? Our team of certified coaches will provide insight into what makes you tick from a career perspective. Starting with an in-depth evaluation of your unique experiences, interests, priorities, and skills, as well as specific corresponding career options, we create a strategic plan that will take you to the next step. Get started through our Career Identity Program. P.P.S. Welcome Mileta Vinerte to the CareerJoy team! As an entrepreneur, mentor, recruiter, and technical writer specializing in government and private sector resumes, Mileta combines high work ethic with creativity and enthusiasm. Her goal is to coach candidates through the job application process, from writing a winning resume to succeeding in interviews, and the help everyone she works with land their ideal job. Connect with Mileta on LinkedIn and learn more about our other coaches.